To order watch parts not on our website, please provide part description, item number, and quantity desired. The cost of the item(s) will be added to your order. 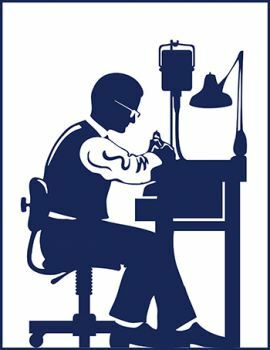 Cas-Ker is one of the country's most complete suppliers of wrist watch and pocket watch parts for the professional watchmaker. Our watch material inventory is too extensive to include here at this time. Parts not listed on our website may be requested here by entering the part description, item number, and any other information that will help us find the part you need. Please be sure to provide your contact information at checkout if you would like us to confirm your order, including item cost, availability and shipping options. Please provide as much information as possible about the part(s) you need. You must provide complete contact information if you would like to receive confirmation of your request, as well as pricing information. You will not be billed for your item until your order is shipped. Request a warehouse check for watch parts not listed for sale on our website. Our staff will check our inventory in our Cincinnati warehouse, where we stock thousands of products that aren't currently listed online, and will get back to you as soon as possible with item information, price, and shipping cost.